(480) 467-8800Call or Text Today! Your involvement in an accident can change your life. The damages and associated injuries can result in modifications to your career and personal life. It can affect your family and friends as well. Personal injury claims involve virtually any situation where you are injured but the injury was caused or substantially caused by another person. Geisheimer Law, PLLC brings a unique and enterprising approach in servicing accident injury victims. We do this by combining top level legal abilities with outstanding client service. Providing effective and compassionate representation to each and every client is the foundation and focus of this personal injury law firm. 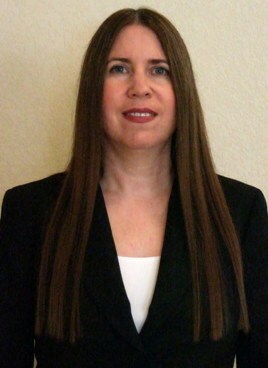 Ann Geisheimer, founding member of Geisheimer Law, PLLC, is an experienced personal injury litigator who practices in the greater Phoenix area. She takes a special interest in representing individuals who have been involved in accidents that were caused by someone else’s fault. If we take your case, you will owe no fees or costs unless we recover for you. You can learn more about Ann Geisheimer here. At Geisheimer Law, PLLC we do things differently. You will always be able to reach the attorney throughout the course of your case. You will not be treated like a number nor will you have your case managed by a non-lawyer. Here, client centered results driven representation remains a top priority. Contact us at 480-467-8800 for a free consultation and get the help you need. There are no fees or costs unless we recover for you. I am committed to provide effective and personalized representation to each and every client regardless of the size of their case. I have extensive experience representing personal injury accident victims from intake to settlement or judgment. I also make every effort to help clients understand the legal process involved in a personal injury matter so they can better focus on their recovery. Treating clients with compassion and integrity remains a top priority. In law school, I received the highest course grade in alternative dispute resolution, which I believe was because I was intrigued with the subject. Since becoming a lawyer, I have not stopped in developing and refining the skills it takes to successfully resolve disputes between two opposing parties. Throughout my career, I have resolved numerous personal injury claims without the need to file a lawsuit and go to court. However, I will not hesitate in doing so if necessary. For over half my legal career, my practice has been 100% devoted to civil litigation. After graduating from law school and even recently, I defended individuals and entities who were sued for negligence claims involving motor vehicle accidents, premises liability and wrongful death. Having a litigation background gives me the skills necessary to understand and anticipate both sides of a dispute in order to best advance a client’s position. Will I Recover If The Other Party Has No Car Insurance? Will My Insurance Carrier Raise My Rates If I File A Claim? Do I Need To Hire A Car Accident Attorney? When I Hire A Personal Injury Attorney Do I Have To Pay Upfront? Do I Have To Pay Back My Healthcare Providers? If you have been injured in an accident due to someone else’s fault, you owe it to yourself to speak to an experienced personal injury attorney to determine what compensation you may be entitled to as a result of your accident. Contact Ann Geisheimer, a dedicated personal injury lawyer, serving the greater Phoenix area including Scottsdale, Cave Creek, Carefree, Paradise Valley, Glendale, Peoria, Surprise, Sun City, Sun City West, Gilbert, Apache Junction, Mesa, Chandler, Tempe, Buckeye, Avondale, and Goodyear and surrounding areas, for a free evaluation of your claim today. Geisheimer Law, PLLC charges clients no fees or costs unless they collect money on their injury cases. Court costs and case expenses will be the client’s responsibility only when there is a recovery. See what some of our clients have said about our services. You can check them out here. If you are looking for a truly exceptional attorney who is honest and trust worthy, then Ann Geisheimer is that attorney.